Virginia A. 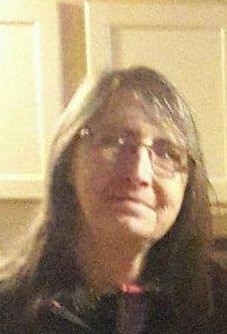 “Ginger” Faulkner, 56, of Cromwell, IN passed away at 2:47 a.m. on Wednesday, December 5, 2018 at Parkview Regional Medical Center in Fort Wayne, IN. She was born on August 10, 1962 in Goshen, IN to James & Ellen (Nusbaum) Holdeman. She attended Fairfield High School and lived in the New Paris, Goshen, and Cromwell areas most of her life. She was a homemaker and was married on July 16, 1983 in New Paris, IN Scott L. Faulkner who survives. She was preceded in death by her father & brother - Rick Holdeman. Visitation will be from 3:00 – 5:00 p.m. on Saturday, December 8, 2018 at Owen Family Funeral Home, 1001 S. Huntington St., Syracuse, IN. Cremation will take place at Cremation Services of Kosciusko County, 4356 N. St. Rd 15, Warsaw, IN. Preferred memorials may be given to the Virginia Faulkner Funeral Fund, c/o Owen Family Funeral Home, 1001 S. Huntington St., Syracuse, IN 46567.